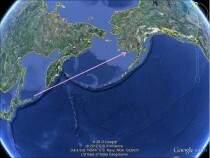 Ball lost in Japan Tsunami, Found in Alaska! There it Goes! Space Shuttle Enterprise! !